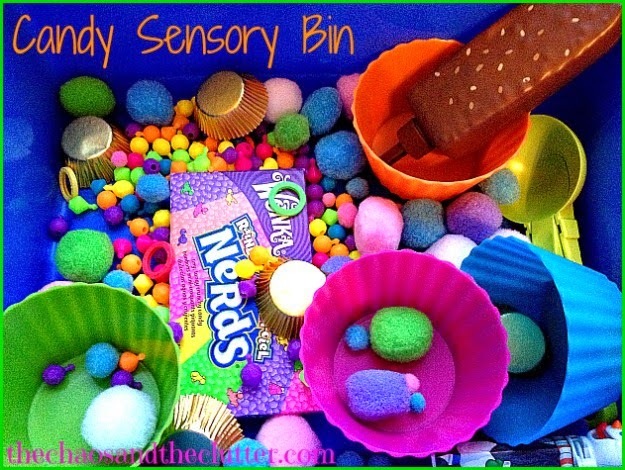 Sensory Bins are not only fun, but also a great developmental tool for children. It has been proven that learning is enhanced when the senses are engaged, and we all know that children learn via play. A sensory bin provides children a way to learn, play and discover in a contained way that parents can appreciate and possibly enjoy themselves. 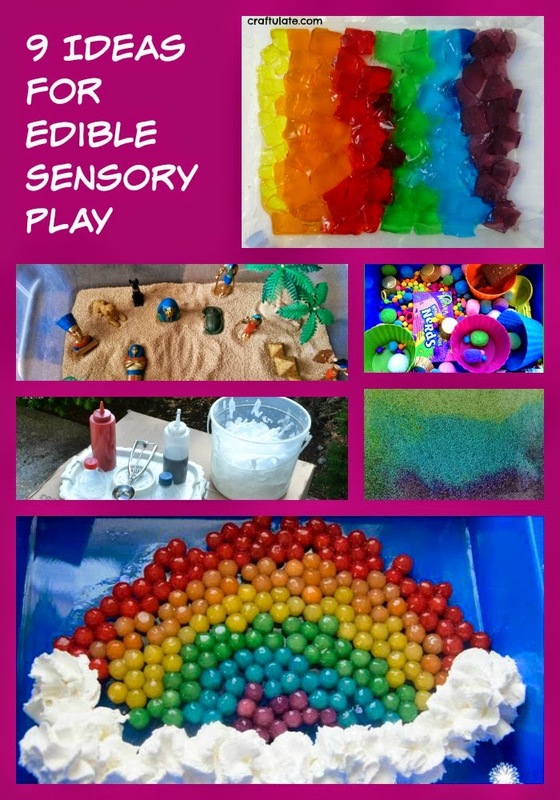 I found 9 ideas for sensory play that your children will adore. 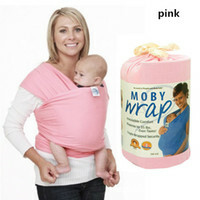 All 9 are based with edible ingredients to take the worry factor out for mom. 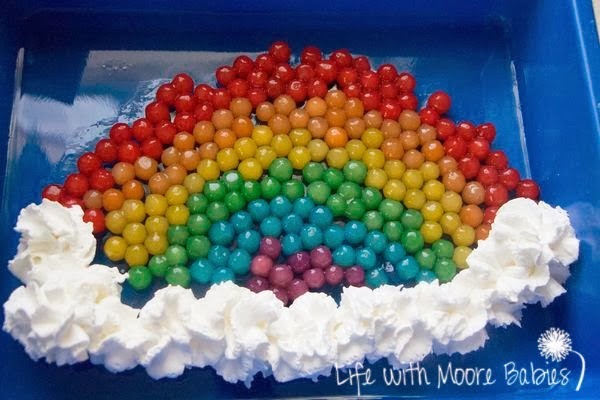 This edible rainbow sensory bin is adorable, tasty and a blast to play with. 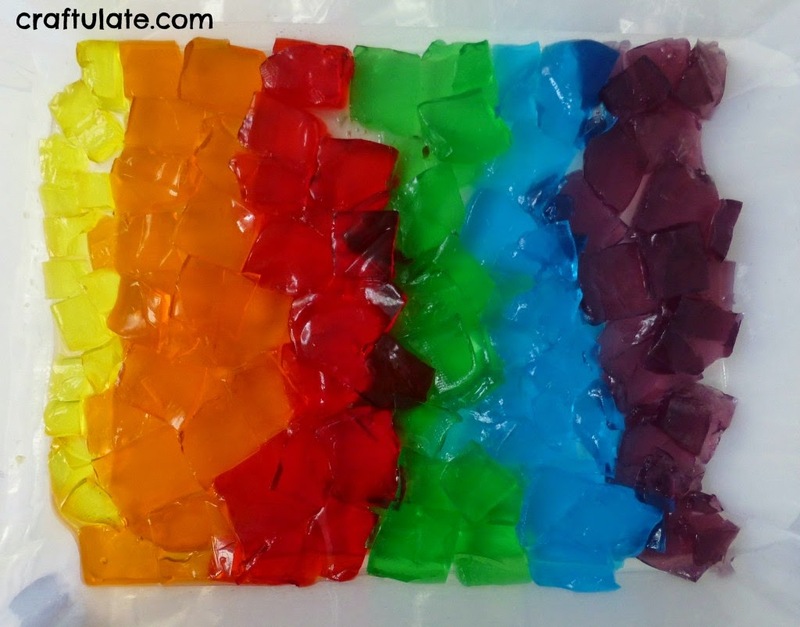 This Rainbow Jello Sensory Play Idea looks like a wiggly jiggly good time for kids! Edible Miniature Water Beads are the perfect option for small children. I love that these can be added to a themed bin, but they are fun to play with as is too! Peaches make a fun and fragrant base for sensory play. This Candy Sensory Bin is a dream come true for every child! 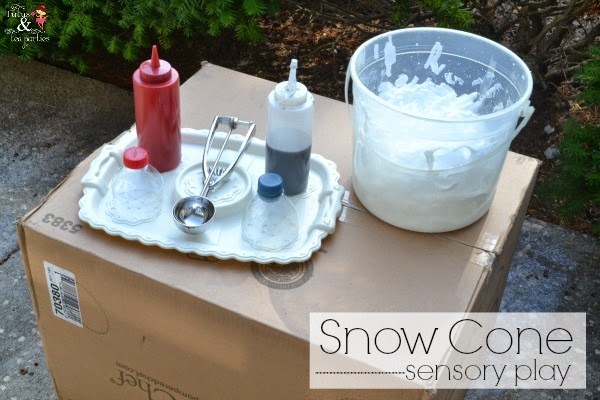 Sensory Play with Snow Cones makes for a cool day of play! 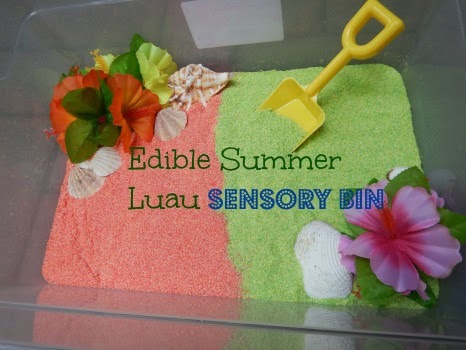 Doesn’t an edible summer luau sensory bin sound perfect for the days that we miss summer desperately? 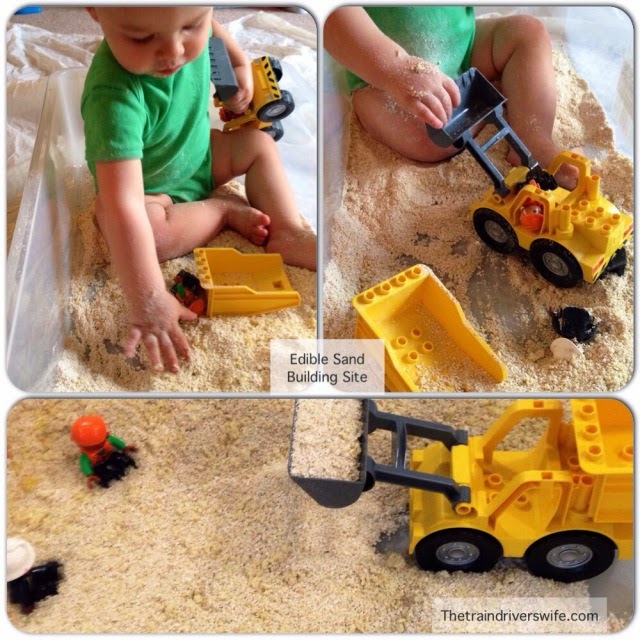 Edible Sand makes a great base for a construction themed sensory bin. 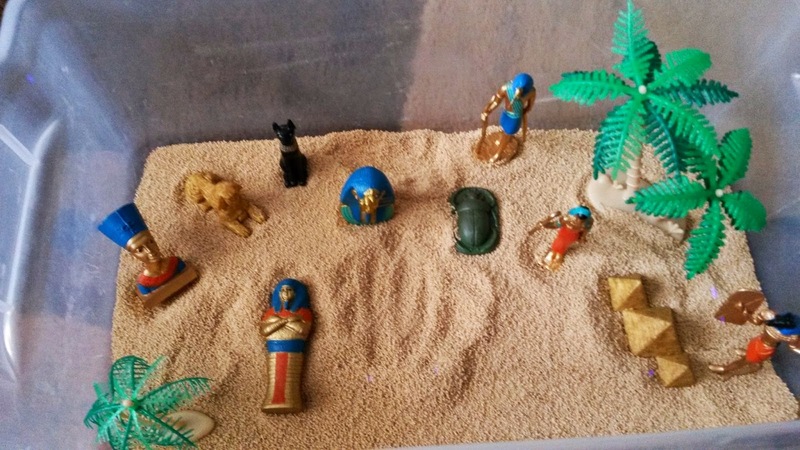 A small world play session that is sweet and perfect for Egypt themed studies. How often do you make sensory bins for your children? I would love to hear from you about your favorite themes and ideas. 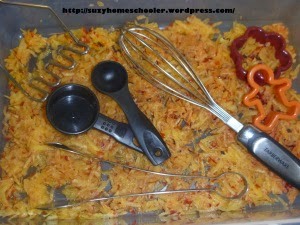 What creative ideas – especially great for kids who still put everything in their mouth! I’ve seen different kinds of cereal used as edible sensory play, too!